Click on picture to see full gallery of photos from event! 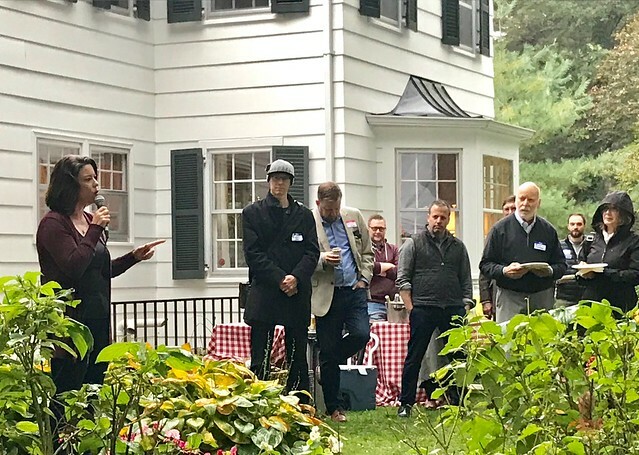 On October 7th, 100 Democrats gathered in Sunfish Lake to celebrate great candidates and continue to build community as we get ready for the midterm elections and beyond. Though the day was dreary, our spirits were bright as we were fortunate to have Ruth Richardson who is running for MN House in 52B, Angie Craig who is running for US House in CD2, Sam the son of Senator Tina Smith and our own MN State Senator Matt Klein speak to us about their campaigns and what is at stake this election. We are grateful that they were able to join us and we’re inspired to work hard on getting out the vote as election day nears. There was great food, music and hikes down to the lake, as well as an opportunity to connect with others in our community. A huge thank you goes out to hosts Christine Hartman and Robert Riesberg who opened up their wonderful property for us all to enjoy. And a special shout out is due to Troy Stevermer for hauling furniture and putting up the tent.